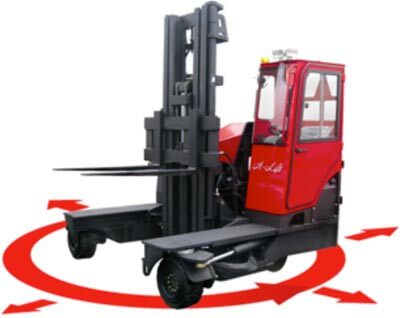 The multi-directional steer forklift is also referred to as the manufacturers' name of CombiLift. The truck is equipped with a unique 4 wheel steering system that allows the machine to travel sideways with a long load. The system gives the user multi directional steering capability allowing the machine to work in less space when handling long loads. Training on the CombiLift can only take place at customer's premises.